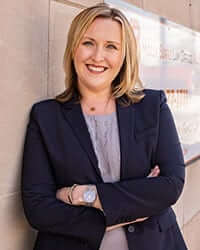 Molly Burke is an experienced Social Security Disability attorney, and has successfully argued hundreds of cases in front of Administrative Law Judges in Louisville, Owensboro, Bowling Green and Madisonville. She has the knowledge to guide clients through the oftentimes confusing Social Security Disability process. Molly also has experience in family law and civil litigation. Prior to becoming an attorney, Molly worked in the Private Bank of Merrill Lynch in Chicago as a registered representative. Molly received her bachelor’s degree from St. Norbert College and attended DePaul University College of Law. She was admitted to the Kentucky Bar in 2008.